Contestants at the 2017 Prix de Lausanne in class before the jury. Photo by Pauline Daragon, Courtesy Prix de Lausanne. Yesterday 74 young dancers from 16 different countries (including seven from the United States) gathered in Switzerland for the 46th edition of the Prix de Lausanne. The Prix is allowing ballet lovers everywhere to follow the week-long competition through a live video stream. From today through Thursday, the Prix is streaming an hour and a half of content each day from 3:00 to 4:30 pm Central European Time (9:00 am to 10:30 am EST) showing a mix of rehearsals, coaching, interviews and classes, with commentary by master teachers Naomi Stikeman and Jason Beechy. On Friday and Saturday the entirety of the Selections and Finals process will be live streamed. The Selections run from 9:30 am to 5:00 pm CET (3:30 am to 11:00 am EST) with commentary by Monique Loudières, and the Finals will be presented by 1980 Prix de Lausanne prize winner Deborah Bull on Saturday from 2:30 to 6:30 pm CET (8:30 am to 12:30 pm EST). The Finals can also be viewed in Chinese with commentary by 1994 prize winner CAO Chi. The daily live stream can be found on the Prix de Lausanne Facebook page. And if you don't want to get up in the middle of the night to watch live, that's no problem; the videos will remain on the page. Set your alarms! For the third year in a row, Prix de Lausanne, the prestigious international ballet competition held annually in Lausanne, Switzerland, will be live-streamed. More than 70 young dancers, ages 15 to 18, have been chosen through a careful video selection process; 17 countries will be represented in total. The live-stream will go inside candidates' practice sessions, as well as their classes and coaching sessions. Catch interviews with dancers, teachers, choreographers and jury members, and, of course, the finals on February 4. Madison Young, second prize winner of the 2016 Prix de Lausanne. Photo by Gregory Batardon, via Instagram. For those of you unable to watch (it is, after all, a six to nine hour time difference depending on your time zone), recorded live sessions will be available on ARTE Concert and YouTube the next day. Oh, and if you look closely, you may even see me! I’ll be attending the Prix to moderate three Daily Dance Dialogues, and to update you on how things are going. No matter how jaded us New Yorkers get, visiting Lincoln Center can be downright magical. The stunning fountain, the lights on the balcony of the Koch Theater—it all adds up to let you know you're in a place where art is important. If you've always wanted to peel back the proverbial curtain on one of the city's art meccas, now's your chance. You can follow New York City Ballet principal Megan Fairchild, or watch a class at the School of American Ballet, during Lincoln Center's first ever Day in the Life broadcast. The live stream will happen on October 7 via Facebook Live, giving us just enough time to recover from World Ballet Day before we binge again. The program will feature all 11 performing arts organizations that complete the Lincoln Center campus. Balletomanes will of course be familiar with The Metropolitan Opera (where American Ballet Theatre performs), New York City Ballet at the Koch Theater and School of American Ballet. 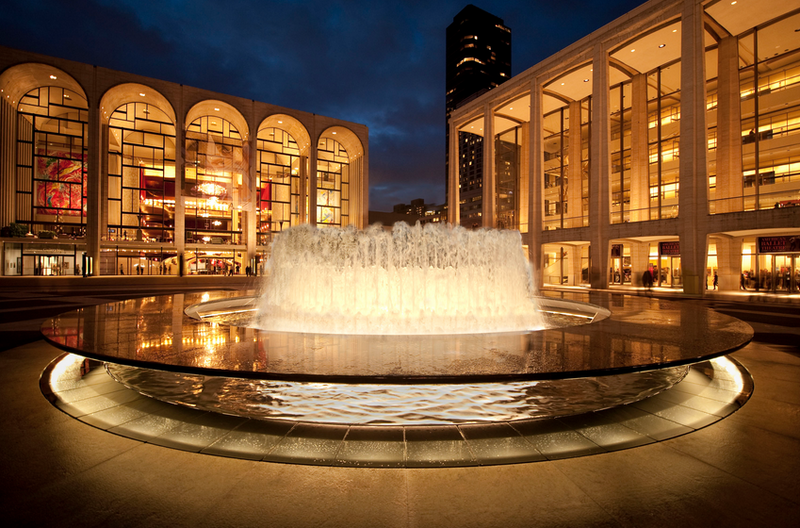 But Lincoln Center also includes The Chamber Music Society of Lincoln Center, Film Society of Lincoln Center, Jazz at Lincoln Center, The Juilliard School, Lincoln Center Theater, Lincoln Ristorante, New York Philharmonic and The New York Public Library for the Performing Arts! This incredible lineup will be featured through a series of interviews and day-in-the-life episodes. Assucena and Alberto Velazquez rehearse Christopher Wheeldon's new Nutcracker. Photo by Cheryl Mann, Courtesy Joffrey Ballet. Though it's not quite fall, the Joffrey Ballet is in full holiday mode, prepping for the world premiere of Christopher Wheeldon's Nutcracker. In fact, you can catch a live-streamed rehearsal with Wheeldon and the company tomorrow (Thursday, September 8, 11:30 am to 1:30 pm Central) on the company's YouTube channel. Pointe spoke with company dancer Amanda Assucena about this reimagined holiday classic set in 1893 during the Chicago World's Fair. How does the setting change the story? Marie, our dreamer, is our version of Clara. She's a girl from the South Side of Chicago, the daughter of immigrants, workers of the fair. She's not very wealthy, which is different from other Nutcrackers. The second act is based on the actual World's Fair, so she dreams the Nutcracker is taking her through it and the divertissements are different countries. What have rehearsals been like? I'm learning the roles of Marie, her mother and the grand pas, so I've been in the studio with Chris all the time, all day. He is definitely one of my favorite choreographers to work with. He's a big name, but he's such a normal person, so nice and humble. And he allows you to communicate what feels good or if a step feels awkward. What's it like being involved in the creation of a new full-length ballet? Being in the studio for six hours a day learning choreography and trying to keep that in your mind has been challenging—but such a great challenge. For me, one of the best parts about ballet is figuring out steps, remembering them, putting them together with the music and seeing it come together and work. How is Wheeldon approaching the famous party scene? It's now called the "shack scene" since Marie lives in a shack with her mother. Some of the other workers from the World's Fair come to the party, and everybody brings something--a tree, some food or drinks. It's more about them coming together and trying to make something beautiful out of nothing for that one day of Christmas celebrations. Do you have any advice for dancers on how to avoid burnout when they’re working on Nutcracker from now until the holidays? We’ve all been doing it since we were little kids, but I still love it. My advice would be to remember what the audience is going to see. It’s our responsibility for them to feel like they just woke up from the most beautiful dream ever. And enjoy the music. As much as we hear it all the time, it’s so perfect for the ballet, perfect for the season. It’s also great that it’s so popular because it only means that we are part of a Christmas tradition. Enjoy the music, enjoy the relationships with your other dancers and enjoy the choreography. 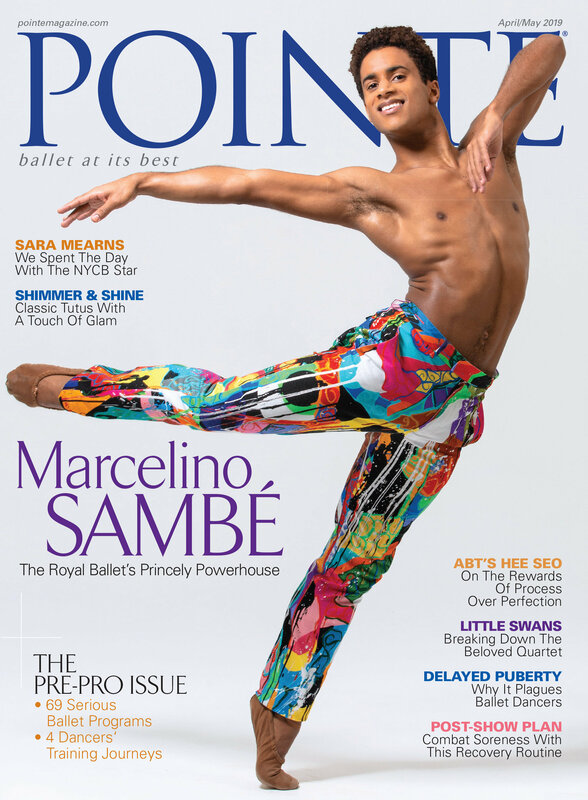 Have you noticed an uptick in story ballets? We sure have. Whether it's a full-length or a one-act, we love seeing choreographers challenge themselves by bringing stories to life. The folks at Northern Ballet in the UK also believe in the power of narrative ballet and, thanks to their choreographic lab Tell Tale Steps, they've created an opportunity for choreographers to dive into the form. If you want to take a peek into the process of creating a story ballet, don't miss the company's live stream on Thursday, June 16. There will be a panel discussion covering narrative in ballet, and the choreographers will show excerpts of their work. This year's participants include Lucia Solari, Morgann Runacre-Temple, Tobias Batley (a Northern Ballet company member), Charlotte Edmonds (a young choreographer currently mentored by The Royal Ballet's Wayne McGregor) and Carlos Pons Guerra. The mix of ages and backgrounds is sure to yield interesting results. Part of their mentorship team includes dramaturg Ruth Little and playwright Greg Mosse. Since dramaturgy faded from the ballet world as choreographers embraced abstraction, we're especially excited to see elements of theater and dance coming together again—all for the benefit of amazing storytelling. Pacific Northwest Ballet is touring to NYC, with performances at City Center February 24–27. If you're a PNW resident who can't live without your home team, or a just a PNB fan who can't make it to NYC or Seattle to see the company, tune in to a live-streamed rehearsal on February 19. The next few weeks will bring a ton of ballet to NYC, with companies ranging from Les Ballet de Monte Carlo to Pennsylvania Ballet—and more. Maybe the other companies will take a leaf out of PNB's book and stream their rehearsals too? If World Ballet Day is any indication, there are tons of ballet fans around the world waiting for a chance to catch their favorite companies online.